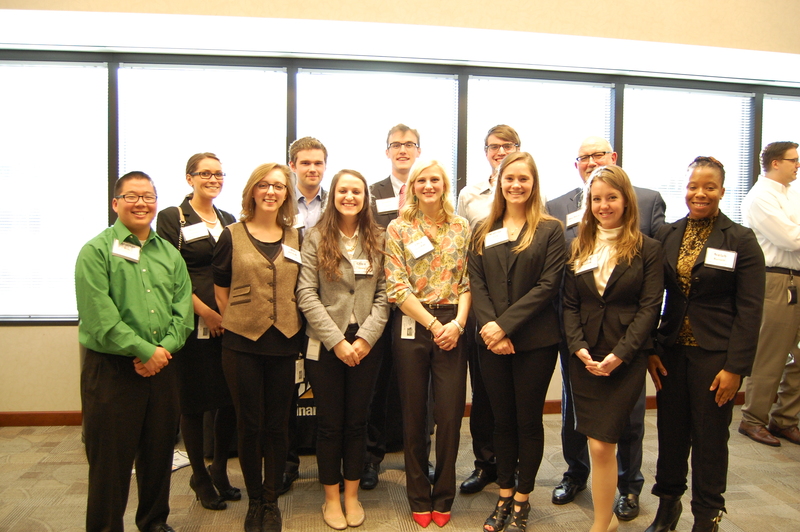 A group of 10 Jack C. Massey College of Business students participated in the 2nd annual Caterpillar Financial and Belmont College of Business Case Competition hosted by the Nashville Chapter of the Young Professionals (YP) Employee Resource Group on October 20. The event was held in cooperation with Belmont, the only university included in the partnership, to leverage diversity of thought and inclusion to solve a business problem. Over the course of a day and half, five teams competed against one another to propose a solution to a live business problem at Cat Finance. The teams consisted of two YP members, two Belmont students and one 6 Sigma Black Belt to facilitate the group. The teams presented their recommendations to a panel of judges including the president of Cat Finance, leadership and department managers from Cat Financial and Massey College of Business Dean Dr. Pat Raines. This year’s case centered on the Cat Financial Customer Portal, an e-business initiative aimed at empowering customers with instantaneous self-service. Teams were asked to devise a strategy to enhance the functionality offered in the portal and better market the existing functionality to increase its usage. All recommendations are being considered by Cat Financial for implementation.